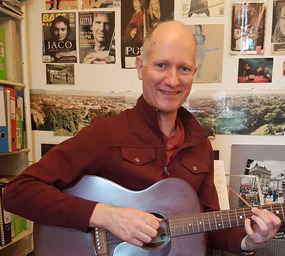 I am Dave Easto - a full-time guitar professional guitar teacher in South Bristol. I offer electric guitar, acoustic guitar and electric bass guitar lessons from a dedicated teaching room at my home in Southville. Since 1994 I have taught over 1,000 pupils. I offer guitar tuition to suit all ages and abilities, both in 1 to 1 and small group sessions. At present my pupils are aged 5 years old upwards, with my oldest pupil in their 60s. Most people come to me as beginners, but I am happy to offer lessons for more advanced pupils as well. 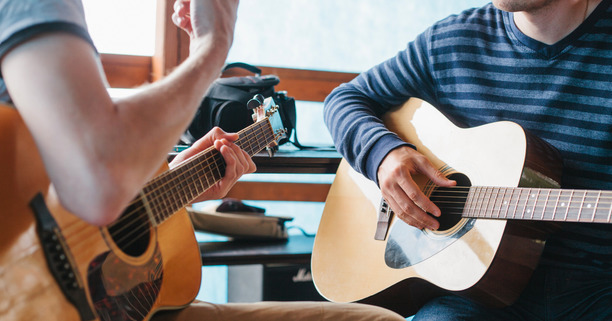 I teach in a variety of popular styles, but as far as possible and depending on ability, I will teach a pupil the music that they want to learn – usually this is what they know and like. More information including ideas of music to widen your repertoire and teaching books that I recommend can be found on the Types of Music Taught page. It is entirely up to the individual student whether they wish to read music or play by ear. 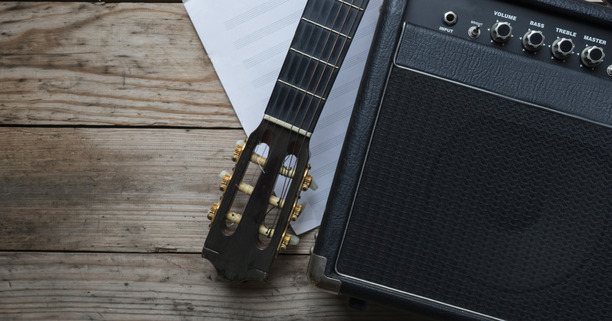 Most pupils do not read conventional “black dot” music notation, preferring to learn by ‘ear’ with a sheet of the piece of music shown by chords or tablature (usually shortened to "tab"). I am happy to explain this further if required. Some pupils find it helpful to record parts of the lesson – many mobile phones have a voice recording facility, allowing the pupil to make an audio reminder of the lesson. 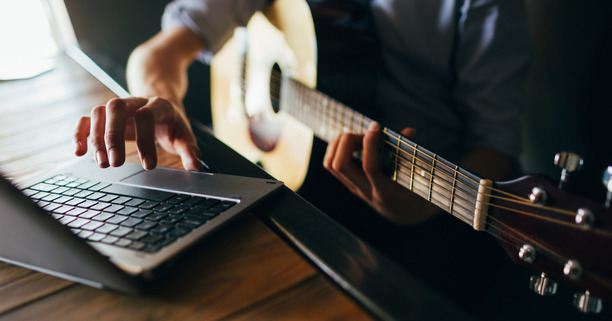 You do need to have your own guitar on which to practice outside of lessons, however you do not need a guitar for your first lesson – I am more than happy to offer advice and this can be found on the Buying a guitar and amplifier page. Dave is an understated yet inspirational guitar tutor. 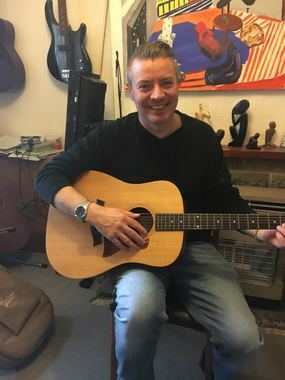 Zak really enjoy’s Dave’s laid back, informal and patient style of teaching and gets a buzz from the exciting guitar rifts he learns each week. Dave is an excellent guitar teacher. Under his tuition I am now able to play acoustic guitar, despite having had no previous experience or other tuition. Dave is very patient and encouraging; he doesn’t make you feel stupid if you are taking a long time to get to grips with a particular technique or piece of music and he teaches at the pace at which you want to learn. I would recommend him without hesitation.